Remember back in the 1980’s when financial accounting programs were really starting to sprout up here and there? Software developers from all over created and marketed their own applications to businesses and organizations. People in businesses of all sizes finally had the opportunity to track and manage financial information on a computer, rather than on paper. As time went on, some financial accounting software developers got purchased or merged, some closed their doors because of too much competition, and some thrived and are still improving and growing today. Back when all the accounting software developers were starting up, even the smallest, one person developer could create and market his/her own accounting application. It was so much easier to do back then, since businesses often wanted to buy the system from someone local. They wanted a partner who could be there to help them if needed. Buying from a local software provider gave the business a sense of comfort, knowing there was someone who could help them when needed. And then, the internet changed everything. More and more support options became available online, phones became automated, and many software companies started providing telephone and internet support options. Bigger companies such as today’s Intuit and Sage started acquiring customers on a large scale. Many other smaller companies continue to grow and thrive as well. 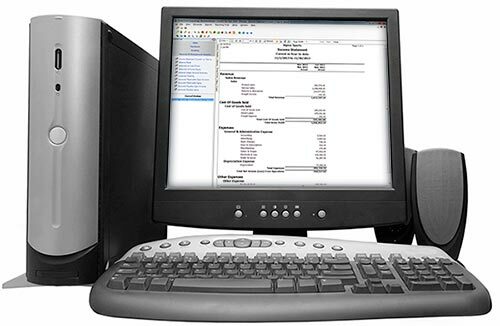 Today, the practice of purchasing financial accounting software from a company that is not in your neighborhood is well accepted. There are still many wonderful local developers and also partners who represent the larger accounting software companies, by providing services for them locally. These days, the service you get from your software provider can vary greatly. That’s why you should always check out these aspects of the services they offer. Are they responsive and courteous? Do they make meaningful updates to their system? No matter whether you choose a mass-marketed product or one from a smaller company, these questions are extremely important in your research process. Managing your company’s financial information is not a subject to be taken lightly. Ask the questions, get the answers, and choose the financial accounting system that is just right for you. Go to www.redwingsoftware.com. (Be sure to sign in, so the system recognizes you as a customer. Click on the link for the training session for your product, and the date you prefer. Follow the cues to register. Customers who have a current Customer Care Plan are eligible for a discount, based on the level of their plan. If you are logged in and have a Customer Care Plan, the system will recognize it and show your discounted pricing. To learn more, please see the Press Release. 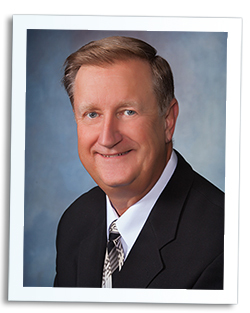 Jim Kelm of Kelm Management, a CenterPoint Accounting and Payroll customer was elected to a second term as president of the Farm Financial Standards Council at the organization’s annual conference in Billings, Montana. If you’ve read this column for any length of time, you know I like to share experiences I’ve had in customer service. Sometimes good, sometimes not so good. And, if you read the column two months ago about word-of-mouth marketing and how I virtually promoted someone’s product, and then read this one, you’ll think I’m being paid to promote other companies. But, I have to, again, share an experience I had recently. I was in Wichita, KS, last week and my brother took me to a restaurant called the Redrock Canyon Grill. It must be a small chain, as I learned there is one in Oklahoma City and one in Tulsa, as well. The building looked like many average priced restaurants, and the menu prices were average, too. But, that’s where average stopped. The food was excellent, and even if the food had been mediocre, I would go back just for the service. Of course, we had our regular waitress that was assigned to our table when we arrived, but everyone else that worked there seemed to know exactly what was going on at our table. When our food arrived, delivered by someone that we hadn’t seen before, she knew who ordered what and where to set each plate. Another person noticed an empty beverage glass and offered to bring another, then when our regular server passed by a few seconds later, she said “that beverage will be out right away”. When we started a conversation with the person clearing the plates when we were finished, another person noticed the conversation, took the plates, and finished clearing the table so the first person could continue talking to us. They understood that talking to their clients and making them feel like guests was important to securing repeat business. I was so impressed with the efficiency in this place I wanted to go back the next night just to see if I could figure out how they do it. Wouldn’t it be nice if the service in every one of our companies was so good that, even if our product was average, people wanted to continue to do business with us just to get great service? Now, put a quality product with that service and you will have people telling all their friends about your business.